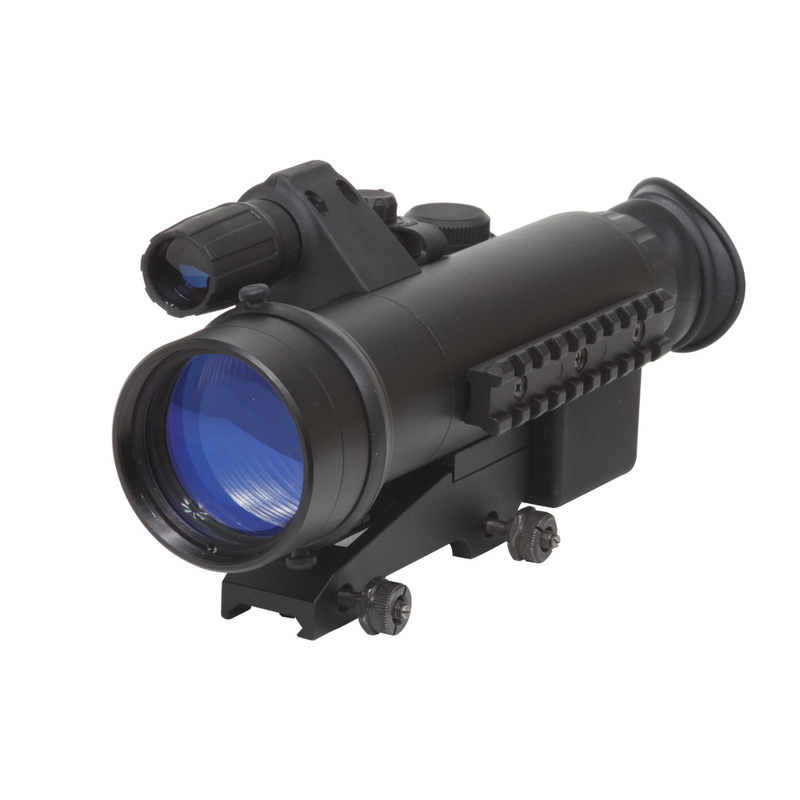 The C3x42 NVRS 1st Generation Night Vision Rifle Scope with IR Illuminator from FireField features 1st generation intensifier tube and infrared illuminator, multicoated optics, durable and lightweight titanium alloy body, and illuminated red duplex reticle with incremental brightness. 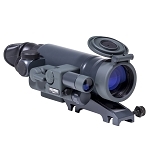 The optics are multicoated for better transmission, and offer 3x magnification with 8° angular field of view. 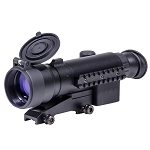 To increase visibility in total darkness, this scope is equipped with a powerful 100mW LED infrared illuminator emitting at 805nm wavelength. 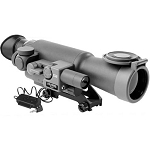 The titanium alloy matte black housing offers high durability and low weight. It features integrated quick-release Weaver mount, a winged rubber eyecup and a rubber protective flip-up objective lens cup. Also included, are two AA batteries and a lens cloth.